This spacious, well maintained house is located on .349 acres and offers 2,070 SF of main living space! The 3 bed, 2.5 bath home features fresh paint throughout, new Stain Master carpeting, pergo floors, an open concept family room with gas fireplace, eat-in kitchen with cherry cabinets, large bay window, island & pantry; all appliances stay. Front room off foyer can serve as formal dining, home office or living room to suit your needs. Large master suite includes sitting or office area with skylight, walk-in closet & bath with jetted tub. The partially-finished basement offers an additional 672 SF for more relaxing or entertaining and a 2018 furnace. A 24&apos; above ground pool, multi-tiered deck, 16x24 workshop and sun porch occupy the fenced-in back yard. Driveway offers two additional parking spaces. Aberdeen is located between Douglas & Secor Road and dead ends into White Park. 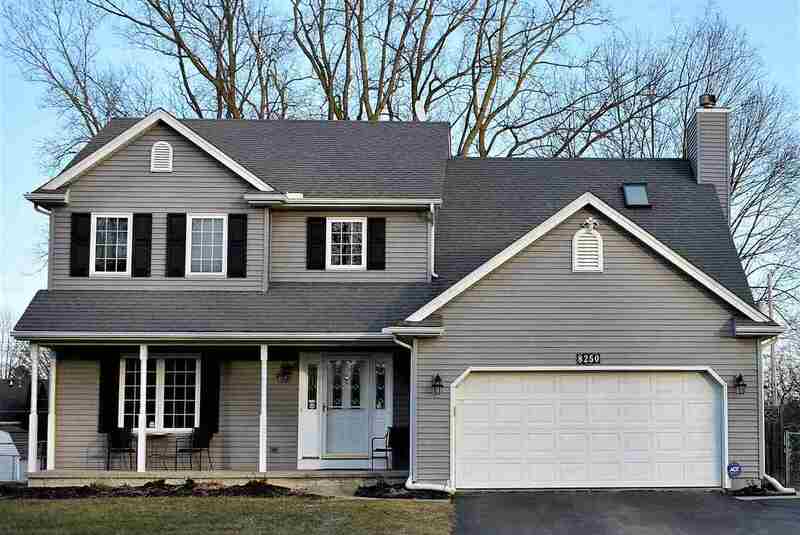 This home is within 2 miles of Monroe Road Elementary, Bedford Junior & High Schools.